Using photos and video materials, and suggesting intriguing new angles, the Estonian-Finnish joint exhibition ‘The Bridge’ tells a story of both republics’ 100-year independence. What kind of similarities and differences are there between Estonia and Finland? What about Finnish and Estonian national feelings, patriotism and independence in the light of history as well as through the eyes of contemporary artists? The exhibition celebrates the centenaries of both Finland’s and Estonia’s independence, two countries neighbouring over Gulf of Finland. The dates of gaining independence are only a few months apart – Finland on December 6th, 1917, and Estonia on February 24th, 1918. 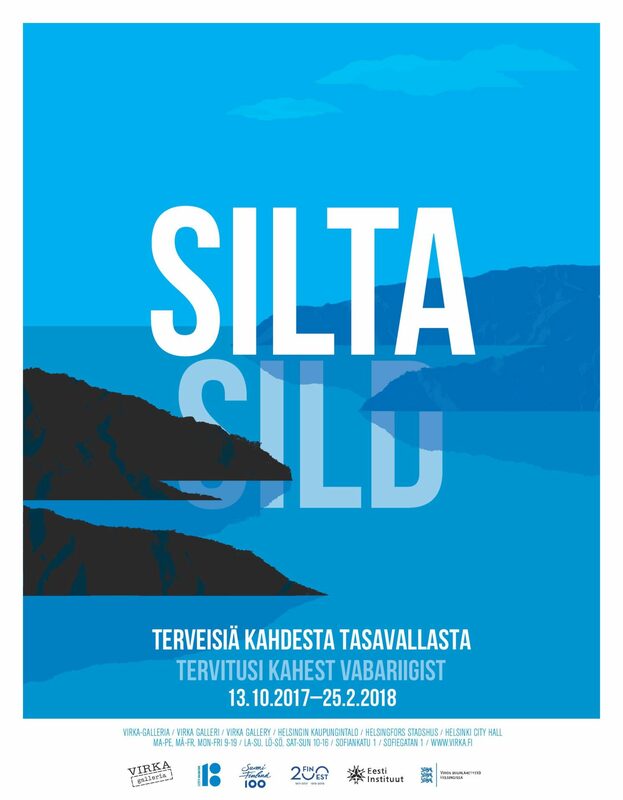 The exhibition “Sild” (“The Bridge”) celebrates the centenary from the perspective of communication and cultural exchange between the two countries. There are four themes in the exhibition: The Finnish Bridge, Souvenirs, Own Land – Own Will, and Independence Culture. The most important turning points of Estonian and Finnish history are presented as a timeline. The exhibition consists of photographs, maps, films and TV shows, posters, everyday items and photo and video artworks of four Estonian and four Finnish artists. The exhibition is created by the Estonian Institute, the Virka Gallery and the Embassy of Estonia in Helsinki. Exhibition texts are written by Mikko-Olavi Seppälä with Toomas Hiio and Kai Lobjakas as experts. The curator is Veikko Halmetoja and artists are Alexei Gordin, Marja Helander, Flo Kasearu, Johanna Ketola, Karel Koplimets, Tatjana Muravskaja, Sepideh Rahaa and Sanni Seppo. The exhibition will feature a side programme that includes seminars and concerts, the first event – the history seminar – will take place on December 1, 2017. The Helsinki City Gallery Virka is open every day: Mon-Fri from 9 p.m. to 7 p.m., Sat-Sun from 10 a.m. to 4 p.m.